The evolution of an IT service organization over the last 20 years has consistently been one of deep lines drawn in the sand. While some organizations slowly embrace change, others prefer to stick to what they know they can best offer their clients. The last major divide in the industry was the separation of the IT Break/Fix business model and Managed Services Provider (MSP) business model. Now, the new lines in the sand are emerging; and IT services providers are looking to leverage their existing relationships to deploy solutions to satisfy their customers needs; both business and technical. What is the break/fix business model? Break/fix or ‘fee-for-service’ model is the method of providing IT repairs to businesses on a per call basis. Customer calls up a break/fix service provider to do an upgrade or a repair of something computer-related that is broken. The IT provider offers a solution or repair, and bills the customer for the work done. You only pay for work when some part of your IT infrastructure breaks. If there are no problems, you don’t have to pay anything. Break/fix was (and is still) a valuable and viable solution in many cases. However, businesses began demanding less downtime and a more proactive approach to their IT. These businesses did not require a full time dedicated IT person on staff, so they began looking at outsourcing their IT to a third party. Naturally, many break/fix providers (with existing relationships) grew into MSPs to fill the demand. What is the Managed Services Provider (MSP) business model? Managed services is a service plan, wherein the customer pays a regular fixed amount for all general maintenance and only pays for extraordinary or extreme repairs or unusual conditions. The equivalent practice in the consumer market is that of out-of-warranty appliances, where the customer can pay for repairs as needed or they can buy an extended warranty. Vendors are sometimes reluctant to assume more management responsibilities. The emergence of a new term: Cloud Services Provider (CSP). Managed Service Providers will become leaders in the cloud solutions marketplace. Ability to use cloud or pieces of multiple clouds/cloud platforms to offer specific solution based on their customers unique needs. A demand for the ability to manage both public and private cloud environments. MSP will build strong partnerships with cloud providers, two-way communication will be key. Outsourcing CXO: Virtual Information and Technology Officer. Much more emphasis on IT security. Increased mobile malware offers a fresh security logistic and concern. Multiple high profile security breaches in the news create new opportunities and security awareness. Business data is becoming more valuable, and breaches more common. More pressure from SMBs to align I.T and business goals. As trusted advisors , MSP will begin intertwining more and more with business processes. Do you agree? What do you think, what will MSP mean in 5 years? Let us know in the comments below. 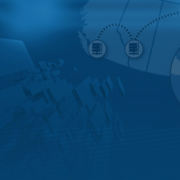 Looking for more information on Server Cloud Canada's Managed Services? What Happens In The Cloud, Should Stay In The Cloud! Do You Have The Skills To Be Secure In The Cloud? Subscribe to our newsletter to keep up to date with all of SCC's latest articles. SCC provides enterprise and carrier grade ready, on-demand hosting (computer, storage, network) infrastructure. Contact SCC to learn more.